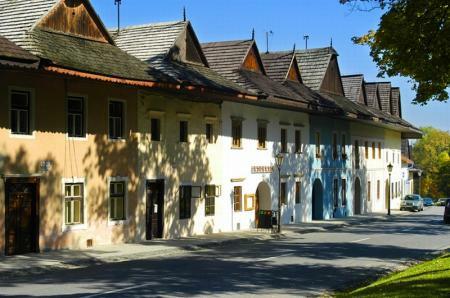 In 1950, thanks to its undisturbed, medieval, urban character, Spišská Sobota was declared an urban monument reserve. The oldest written mention of this tourist jewel of the Spiš region is found in the same instrument as that of Poprad, i.e. 1256. The township originated in the territory of a Slavonic market settlement, at the crossroad of merchant routes. In the 13th century it was inhabited by German settlers. The township expanded as a centre of merchandise and crafts especially in the 17th century. Its prosperity peaked in the 18th century, for example in 1773 the town had 126 crafts masters. In the 1412 -1772 period it ranked with 13 Spiš towns, along with the other current Poprad town wards, that were pledged to Poland. Crafts and arts of the Spiš craftsmen are represented by the work of Ján Brokoff (1652-1718), the sculptor and wood carver. He is rightly considered the top representative of the Baroque Art, although, unfortunately, he is more famous in the Czech Republic than in Slovakia. He drew his figures on Greek mythology, creating many sacral works. The sculpture of St John of Nepomuk ranks among his most outstanding sculptures, and in 1683 it was placed at the Charles´ Bridge in Prague. His sculptures may also be found at the Manětín Cemetery, Klášterecký Park, courtyard of the castle of Červený hrádok and in the Holy Virgin´s Church in Tachov. He founded a major sculpture and wood-carving workshop. Another personality worth mentioning is the figure of Móric Beňovský (1746-1786), the famous traveller and king of Madagascar, whose wife Zuzana Hönschová was born and lived in Spišská Sobota. Industrial production launched in Spišská Sobota at the end of the 19th century. There were opened small manufactures for flax and metal processing, private power station, distillery and sawmill. From 1869 the Savings House of Five Upper Spiš Towns and Credit Institute of Five Upper Rural Towns operated in the town, and later a branch of the Kežmarok Zipser Bank and Catholic bank of Ľudová banka. Till 1923 Spišská Sobota was a centre of municipal and district authorities. At the turn of the centuries the township became a centre of health care. In 1890 here was established a first aid station as a branch of Red Cross that later in 1911 turned into Tatra Hospital which was donated a house and yard by Alica Majunková (1864-1944), the widow of a well-known architect of Spišská Sobota operating mainly in the High Tatras, Gedeon Majunke (1854-1921). It was later extended by a great humanist and doctor MUDr. Augustín Szász (1859-1947). 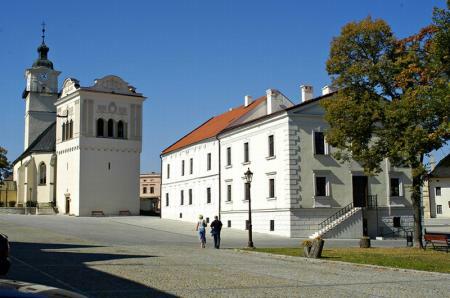 Spišská Sobota currently functions as historical-tourist centre. Its most important monument is St George’s Church built in the mid-13th century having Gothic interior and altar that originated in the workshop of Master Paul of Levoča. The prevailing part of burgher houses comes from the 16th and 17th centuries. Currently, lots of them provide restaurant and hotel services, some are housing cultural and government institutions (library, archive, monument conservation office).